Sonic Vista Studios was opened in November 2004 by L.Henry Sarmiento II. It is based in a 400 year old villa which was once the home of famous Ibicenco artist Vincent Calbet, who is famed for his paintings of Meditterranean landscapes using colouring techniques and striking brushstrokes. It is no wonder that an artist of Calbet's stature and style chose such a stunning location to live and work. Henry's concept for Sonic Vista Studios was drawn from two main influences: Chris Blackwell's Compass Point Studios in Nassau, Bahamas, and Rick Rubin's The Mansion studios in Laurel Canyon, LA. Henry set about offering musicians with an escape from the city, somewhere truly inspiring to create music in. Ibiza, the famous "white isle" off the south-east coast of Spain was the ideal destination. Early clients at Sonic Vista Studios inluded Hideo Kobayashi from Tokyo, and Apple's iTunes which needed mastering services for their 'iTunes Exclusive' releases, containing songs by Goldfrapp, Bloc Party, Nouvelle Vague, Cat Power and Flaming Lips. The Pacha Group also started up a long-term working relationship with the studio, and the famous chill-out compilation albums Cafe Del Mar also began using the facilities. 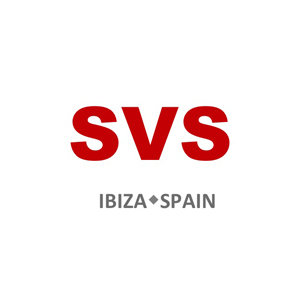 2008 saw the birth of the Ibiza Rocks Hotel's live bands and DJs venture. Sonic Vista Studios has been heavily involved in the project from an early stage, putting together a high-end remote rack to record their events, which they have been ever since. The studio has also mixed the 'Ibiza Rocks for MTV' show, broadcast in the UK, which has featured many artists including Dizzie Rascal, Jake Bugg, Ellie Goulding, Calvin Harris, Florence and the Machine and Biffy Clyro. Since 2009, Sonic Vista's draw has been ever-increasing, and it has hosted any number of high profile musicians and producers who have passed through the island to perform at the venues which make up its world famous nightlife scene. The studio has welcomed Lady Gaga, RedOne, Ting Tings, Swedish House Mafia, Taio Cruz, Akon, Ne-Yo, David Guetta, Ms. Dynamite, Mousse T, 50 Cent, Idris Elba and many more. Sonic Vista has also become a regularly used facility for high-profile voice overs, with Dolce & Gabanna and HBO series Game of Thrones amongst the clients who have used it for this purpose.